This project is about adding your own story in your own words, each and every one of us who goes on this transplant​ journey have similar experiences to each other, but there is however a difference in that we have different paths to go down with different challenges. Some of these challenges make us strong and some can make us sad. It can also affect us mentally as we feel that if we talk about our problems we are looked upon as being ungrateful for the gift we have been given. We can also feel as if we want to give up, but our families walk the same path so with them we learn to either be strong or weak. Look Beyond the Heart would like you or a member of your family to email us your story about how you dealt with these challenges .We all have amazing stories, each and every one of us, and Look Beyond the Heart believes we can all learn from each other and support each other in ways that we feel will make those paths easy to walk. 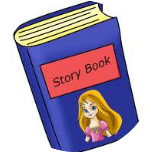 If you are interested in taking part in this project email us with your stories, and if you would allow us to put it on the website then I know it will help so many patients and their families. 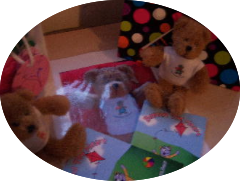 Pen Pals - Alfie came up with the idea of a penpal section where you can meet people with the same likes as you, and also he felt it is more personal to receive a letter. We all know there are other websites where you can make friends, but you don't really get to know them and support them in a way you might like to. If you find someone on there, then you write to your new penpal and put the letter in sealed evenvlope with their name and number. You then post it to our post box and we can send it on. Hopefully you will get a letter back which will be great.You can have as many penpals as you like so come you guys get writing and good luck! Bags of brightness - I came up with the idea after my last stay in hospital. One of the other transplant patients' mum came to see me with a little bag of goodies. It had some really nice things in it that really brightened up my day. 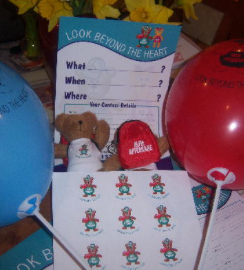 Fund raising packages - There are many ways you can help and support Look Beyond the Heart and Alfie to help and support as many transplant patients and families with the aftercare following transplantation. But to do this we need to get as many people as possible to help us, so we have put a fund raising pack together, with a poster, balloons stickers and most important of all sponsor forms. For us to achieve what we hope to achieve we need to get all the help we can, so if you’re interested in helping us then email, and we can send you a fund raising pack. 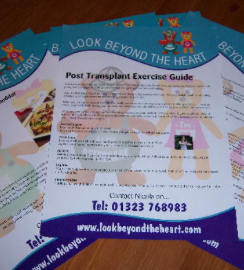 Support Packages - Have been designed to help transplant patients after their transplant to give them some idea of what would help them with their aftercare. it has suggestions for exercises, healthy meals to make and a few do’s and dont's There are also a few goodies in there too. If you are interested in receiving one all you have to do is email us​.